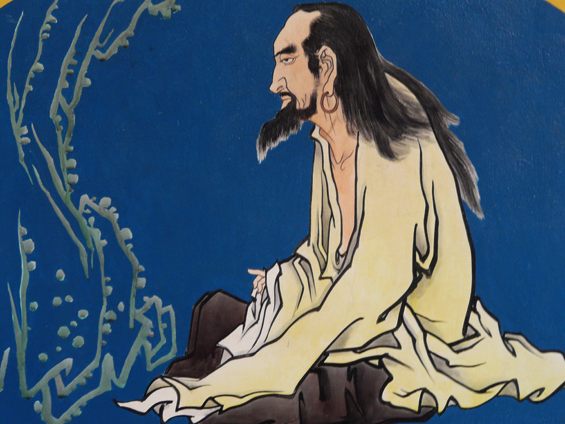 Traditionally dated to the 6th Century BCE and attributed to the Sage Lao Tzu (Laozi), the Tao Te Ching (Classic of the Way and its Power) is a pivotal text for all Taoists. It integrates a mystical path of naturalness and unconstrained non-volitional action with the political philosophy of a minimal state. The text endorses a spiritualised vision of immortality, which is seen as arising from a non-acquisitive, natural and harmonious life. Chinese mystics, philosophers and poets have been inspired by its teachings. 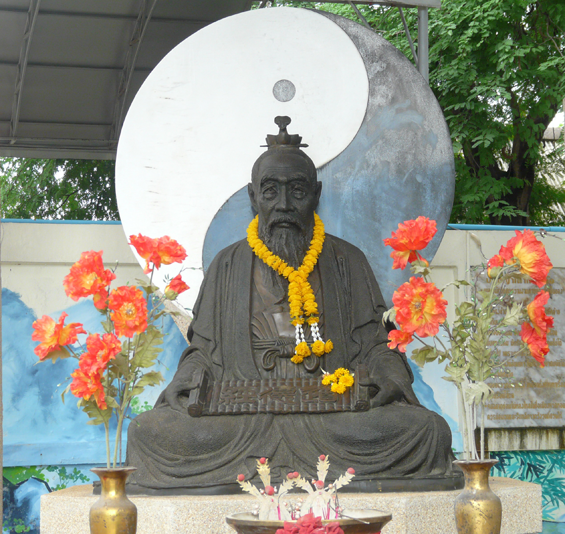 Lao Tzu in meditation, From The Pavillion of the immortals, Chonburi, Thailand. It also inspired many commentarial and interpretative works as well as artistic products. It provides the underlying theory behind T’ai chi ch’uan. In Religious Taoism, the text was given a more ritualised interpretation, with immortality conceived in more literal terms. Have much and you will be perplexed. Therefore the sage embraces the one, and is an example to all under Heaven. He does not show himself, and so is clearly apparent. He does not define himself and so is distinct. He does not boast, and so has merit. He is not proud of his attainments, and so they endure. Must first be made strong. Must first be set up. If you wish to take you must first give. This is called the subtle light. Thus the soft overcomes the hard. When they die, they are hard and rigid. In death they are brittle and dry. So it is said that the hard and rigid are the companions of death, while the supple and soft are the companions of life. If a tree is rigid it will come to an end.